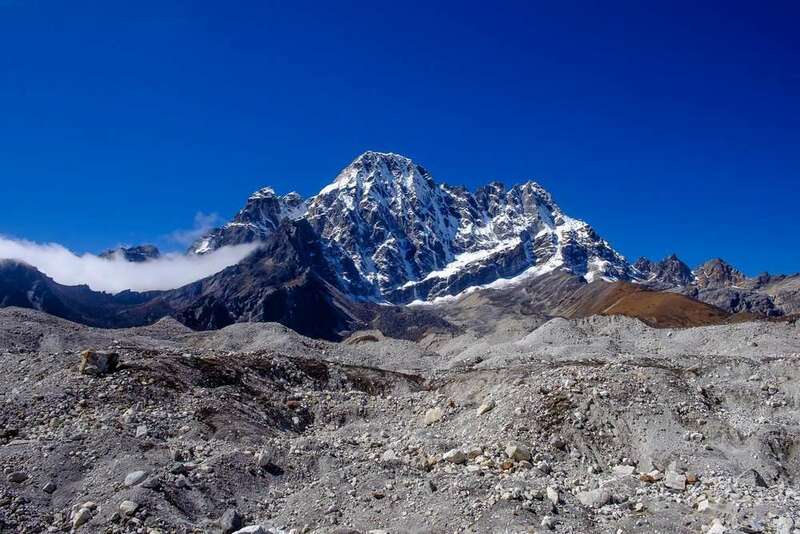 Everest 3 high pass trek is one of the most adventurous trekking in the Khumbu region, and it incorporates three high passes like the Renjo – La Pass (5435m), Cho – La Pass (5420m) and the Kongma – La Pass (5535m). A must do for thrill seekers, Everest three pass trek incorporates views of pristine snow-capped peaks such as the Everest (8848m), Makalu (8463m), Cho – Oyu (8201m) and the Ama Dablam (6812m). The Everest 3 Pass Trek does not only provide an amalgamation of natural beauty but also gives an opportunity to observe the lifestyle and mix up with the warm and welcoming ethnic populations. But it requires a good physique as well as proper acclimatization. All the other treks in the Everest region since the Everest 3 Pass Trek goes all the way starting from a flight to the beautiful Lukla. The trail then moves towards Namche Bazaar, a land of the Sherpa. Then it continues into Thame, Lungden. Finally, reach the Renjo – La Pass at an altitude of 5435m. The Renjo la Pass is a perfect viewpoint, whereas a 360-degree view of all the mountains in the Everest region. Another climbs all the way up to Gokyo Ri to observe the spectacular views of the pristine snow-capped peaks. Also, visible the glaciers all around and the Gokyo valley in full view. The trail further extends to the Everest Base Camp via Cho – La pass which linking Gokyo valley and Everest Base Camp. So, it accompanies with mind-boggling views of the Everest as well as mountains like Ama Dablam, Pumori, Cholatse, Khumbutse, Khangtega, Lobuche east and west, and many more impressive peaks. The third pass, Kongma – La is at an altitude of 5535m comes next in the trail which is an equally rewarding viewpoint. The trek ends in Namche Bazar which can reach by being a further trek from Chhukung. 3: Fly to Lukla and then trek to Phakding (2652 m) 3h00 walk. 4: Trek to Namche Bazaar. (3440 m) 6h00 walk. 6: Namche – Thame (3800m). 7: Thame – Marulung (4210m) 5h00 walk. 8: Marlung – Renjo Lake (4860m) 5h00 walk. 9: Renjo Lake – Gokyo Lake (4791m). 10: Gokyo lake – Gokyo Peak (5360m) -Thangnak (4678m). 3h00 walk. 11: Trek to Cho-la Pass (5370 m) – Dzonglha (4,830 m) 7h00 walk. 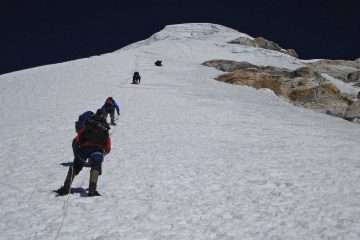 12: Trek to Lobuche (4,910 m) 5h00 walk. 13: Trek to Gorak Shep (5160 m) – Everest Base Camp (5364 m) – Gorak Shep: 7h00 walk. 14: Gorak Shep – Kalapathar (5545m) -Lobuche (4910m). 7h00 walk. 16: Chhukung – Pangboche (3930m) 6h00 walk. 17 – 20: Pangboche – Lukla (2800m). 22: Free day in Kathmandu. You will be transferred to the airport in the early morning as per flight schedule. 40-minute thrilling flights to an airstrip at Lukla by plane offers a marvelous view of Central and Eastern Himalayas and as well as beautiful landscape and hills. Lukla is a gateway to the Everest Region. This is an exploration day in Namche. Hike till Syangboche, a small airport in the region and consider as world’s highest one. Then hike up to 3800 m to see the Mt. Everest and other popular peaks. You will have proper acclimatization. In the afternoon, you may explore the village which is more equipped with modern amenities such as the internet, phone, massage and more. 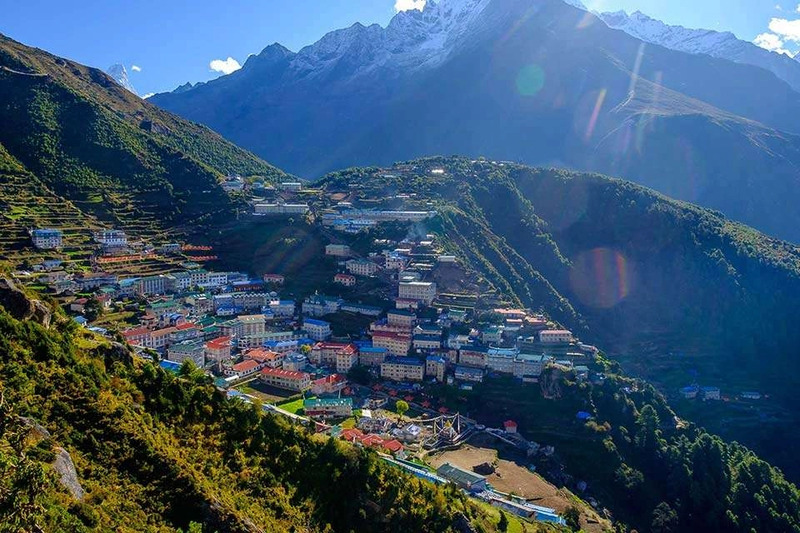 Day 6: Namche – Thame (3800m). We catch the North West trail from Namche. 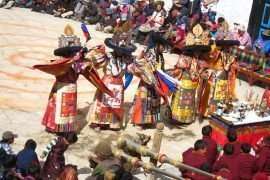 Many of the Mani walls and praying wheels encounter in the trail to Thame where can explore the Sherpa culture. Day 7: Thame – Marulung (4210m) 5h00 walk. The trail leads north from Thame to reach Marlung where we should come across the several small Sherpa village and yak pastures. Day 8: Marlung – Renjo Lake (4860m) 5h00 walk. The trail goes through the Yak pastures where no settlement and only encounter except some pastures. The lake is known as Rermo Pokhari and as well as the magnificent view of Rolwaling Himal and Nangpa- La Pass the trade trail between Tibet and Nepal for a specific period. Day 9: Renjo Lake – Gokyo Lake (4791m). 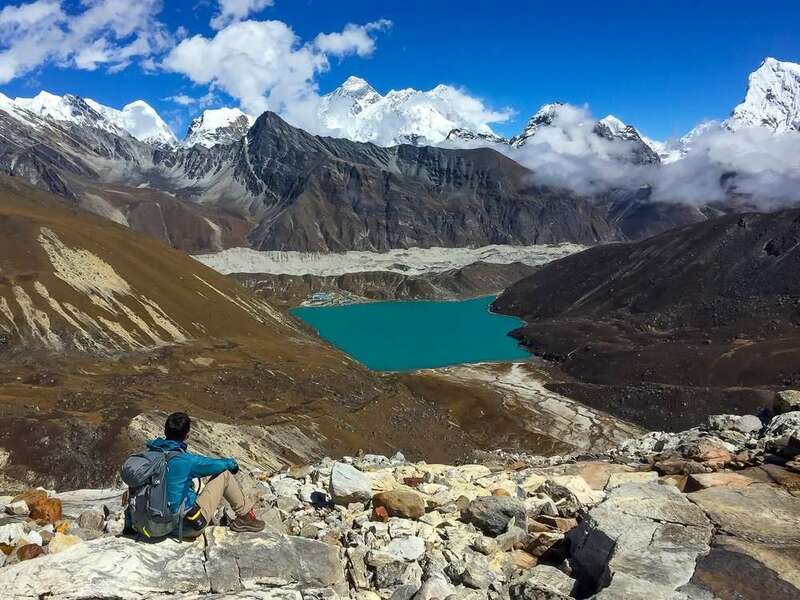 We walk toward Gokyo Lake by crossing the Renjo-La, the great day offers us the magnificent view of Rolwaling Himal, Cho-Oyu, Nuptse, Lhotse and world’s highest peak, Mt. Everest and the beautiful lake and discovery of Gokyo valley in downward. Day 10: Gokyo lake – Gokyo Peak (5360m) -Thangnak (4678m). 3h00 walk. Early morning we climb up to Gokyo Ri, which provide us with proper acclimatization and breathtaking scenery of mountains including the Mt. Everest. It’s one of the lifetime achievement and memories around the top of the peak. Day 11: Trek to Cho-la Pass (5370 m) – Dzonglha (4,830 m) 7h00 walk. Today is more adventure day to make Cho-La pass at (5300m) begins pretty steeply to the first ridge and an easy walk up to another ridge. 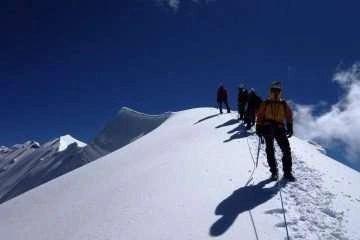 Then; trek short descend to get Base of Cho-la and steep climb up to pass; this part is hardest to walk if there is snow. We highly recommend using crampon for this section. It is an easy downhill to Dzongla. Day 12: Trek to Lobuche (4,910 m) 5h00 walk. You are entering to the east valley with easy downhill to get Labuche passing by pas pastures, beautiful mountains scenery and glacier. Day 13: Trek to Gorak Shep (5160 m) – Everest Base Camp (5364 m) – Gorak Shep: 7h00 walk. The trail leads plane trail but the feeling shortness of breathing due to altitude with spectaculars views of mountain surrounding. 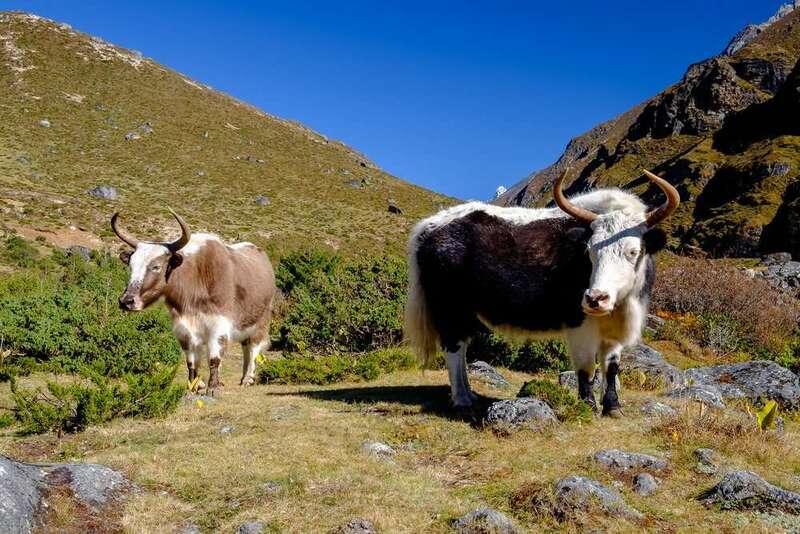 As we take a short break for Lunch, then continue to walk to Everest Base Camp along the rocky and glacial trail.The trail continues the climb to Gorak Shep, check in to a lodge, lunch and start your hike to EBC. Then return the same trail to Gorakshep. Day 14: Gorak Shep – Kalapathar (5545m) -Lobuche (4910m). 7h00 walk. Today is another climax of the trek; you will wake up in the early morning and climb up to Kalapathar (5545 m) to see the sunrise on the top of the world, Mt. Everest and other Himalayan range. Then descend to the same trail to Lobuche. 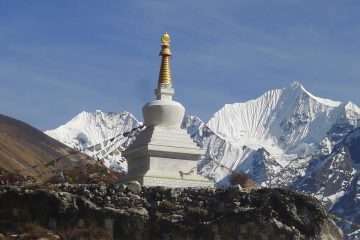 Today is a 3rd greatest day to make the pass of Khongma-La (5535m). 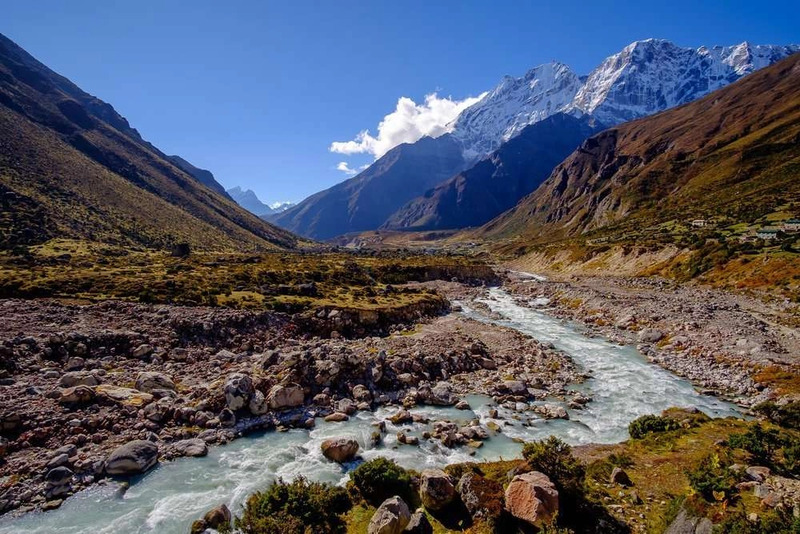 The trail continuously goes through the moraine of Khumbu glacier to Khongma-La Base Camp. There could be feeling difficult because of the high altitude and daily walk in the glacier, ascending to the Khongma- La pass is the hardest day of the trek. Several mountains are approaching in around in the top of a pass. Then, gradually descend toward Chhukung through the Imja Khola valley. Day 16: Chhukung – Pangboche (3930m) 6h00 walk. All the climax of the trek is finished while arrived in Chhukung. Afterward, just heading to low elevation but it has own characteristics. Today is an easy walk to descend Pangboche village. The village is the situated lap of Mt. Ama Dablam and Tawache peak. The trail leads spread to several Mani walls, stupas and praying wheels along the trail and a monastery in the middle of the village. Day 17: Pangboche – Tengboche (3867m). Easy walk up to Dibuche then climb up to Tengboche. There is the largest monastery in the Khumbu region where many monks are meditation along the year from different part of Nepal. The monastery is believed to construct in the 16th century. Day 18: Tengboche – Namche Bazaar (3446m). The trail goes steeply descend up to the Punki Thana then climb back up to Sanasa where junction the of the trail goes to Gokyo lake, Khumjung village, and Namche. Afterward, easy walk to Namche where encountered several stupas in front and beautiful scenery of mountains are in the background. Day 19: Namche Bazaar – Phakding (2640m). The first part of the trail is steep descend to Dudh Koshi and cross the first suspension bridge. Then, easy walk up to Phakding by exiting the entry permit of Sagarmatha National Park in Manju. Day 20: Phakding – Lukla (2800m). Easy walk to Lukla arrived in Lukla. It is possible to visit the market then rest and leisure day. Day 21: Lukla – Kathmandu. Early morning, 40-minute thrilling flights to an airstrip at Lukla by plane offers a marvelous view of Central Himalayas and as well as beautiful landscape and hills. Day 22: Free day in Kathmandu. The day can be occupied if the flight cannot be operating due to the bad weather. Free time in Kathmandu and transfer to the airport two hours before the departure of your flight home.